Emotional Blueprint Iridology is a new and exciting opportunity to gain insight into a person’s body and soul. Emotional Blueprint Iridology provides a valuable tool for anyone wanting to work with clients in helping them to access healing on a deeper level. 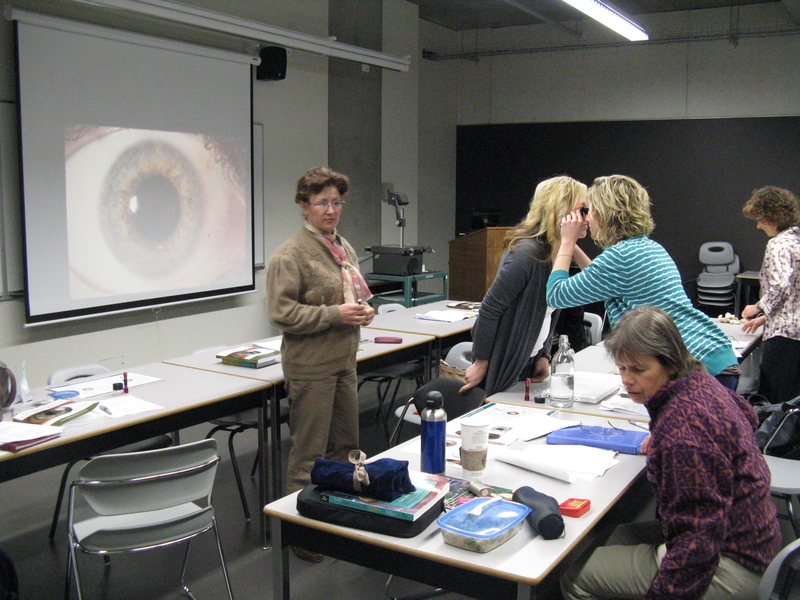 Explore the emotional and energetic relationship behind health conditions and enter a world beyond physical Iridology. In this course, you will learn how and why emotional issues are manifested in the physical body. Any physical symptom will always have an emotional connection or root. Emotional Blueprint Iridology will show you where the emotions are stuck or blocked and what part of the body the emotions are creating interference in, which may be different than the actual health problems a person may be experiencing. The Iris reveals emotions and at what ages they may have become blocked or stuck in the cellular memory, which emotions they are, which chakras are being affected, and what interference’s are creating health problems. The pupil of the eye will allow one to see the spirit of the person much like a crystal ball. It will reveal what the soul wants to communicate (to the practitioner). Pupil work is an amazing way of connecting with your client on the deepest level. As you look into their pupils, you are looking deep into their soul, and in the process of working at a higher level with the highest purpose in mind, both the client and the practitioner are taken on an amazing healing journey. This course will give you an incredible tool to help you discover the root of a health problem or trauma, whether emotional or energetic. 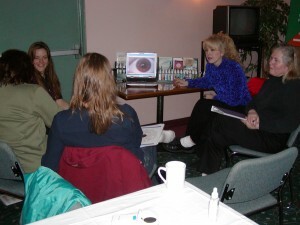 Emotional Blueprint Iridology is non-denominational. It allows you to use your own belief system to interpret how emotions can affect the physical being. "Thank you so much Georgina, for this course. 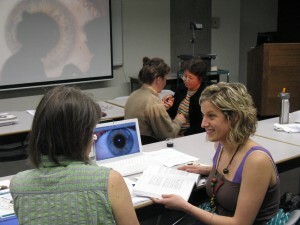 It was truly an intuitive feeling when I found your Iridology Course online 4 years ago, and I am so happy I went for it. The knowledge that I received through you has changed my life and my clients life for the better. Thank you for being such a great teacher and for your help to fine tune my intuition:) I am invited as an Iridologist to a New York Local TV-Show in few months and I know already that I will give my thanks to you for my knowledge 🙂 Bless you." Included Materials: full color workbook, iris analysis chart and instructional video. Emotional Blueprint Iridology helps us to discover the source of our health problems and why health issues repeat themselves. For instance, a person who has repeated bronchial problems may have an emotional block regarding an event that, at an earlier time in their life, created an emotion that was not released. The information and chart provided in the course outline the emotional relationships to the body’s organs and the iris’s relationship to the energies in the body, revealing reasons for emotions such as anxiety, depression, anger, etc. You can also see past and present emotional disharmony in the body including chakras being out of balance. For example, a young person experiences the loss of a close family member. The emotions may become blocked in the cellular memory of the physical body. As time passes and the emotions are not released, it could create respiratory problems such as bronchitis or even pneumonia which would seem totally unrelated to a prior event. If there was fear involved, then the person could be also experiencing bladder or kidney issues. Once the root or cause of the problem is discovered and there is a release of the block or emotion, the repeated pattern of respiratory or kidney problems often discontinues. The Emotional Blueprint Iridology live class is a two-day course. All of the information below is also available through the Emotional Blueprint Iridology correspondence course. For those who have no previous Iridology Instruction, two additional hours of instruction will precede the live course for definitions and descriptions used in Emotional Blueprint Iridology. Live Classes students are asked to bring a Penlight (flashlight) and an 8 to10 X’s magnification loop (available at most Photo Centers). Slide Presentation and Discussion of Emotional indicators by color and structure of the Iris. Slide Presentation and Discussion of Influencers as seen in the Iris and their effect on health and personality. Instruction on how to use the Eye Chart. You will learn how to identify ages and/or events where emotions became “stuck,” or “blocked” and relate that to health challenges. Learn the relationship of iris signs and chakras. Learn how to read the pupil. Discussion on how to ask questions regarding what you see. Slide review. Practice. Review of Saturday’s material, questions answered. Practice with students. Volunteers for analysis start arriving (if it is a large class then we can use our own students) Live analysis & practice. Review of live analysis. Questions answered.